Growing up Ulyana would consistently seek out the wilderness; she still describes herself as a “hippie at heart”. Her life experience and many unanswered questions directed her to studying traditional medicine and yoga. She has a passion for plant-based cuisine and and whole food cooking. Ulyana started her own natural therapies clinic and began writing both professionally and on her blog. Inspired by the health improvement from her clientele and positive response to her writing she has committed to yoga teacher training. She is passionate about raw food and vegetarian nutrition, mind-body exercise, skin health, women’s health, detoxification, organic gardening and permaculture, spirituality and art in all its forms. Her dream is to continue learning, evolving and sharing inspiration and resources about this way of life. 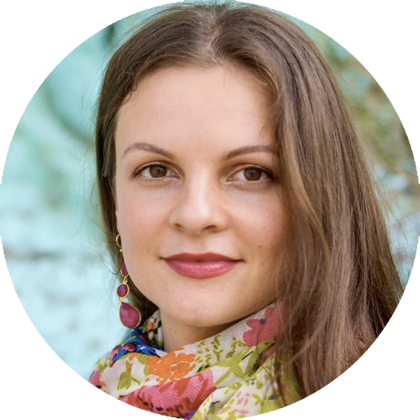 Ulyana’s approach is informative and holistic; she believes we are ever evolving creations, that every little step in the right direction will eventually lead us to our dreams.